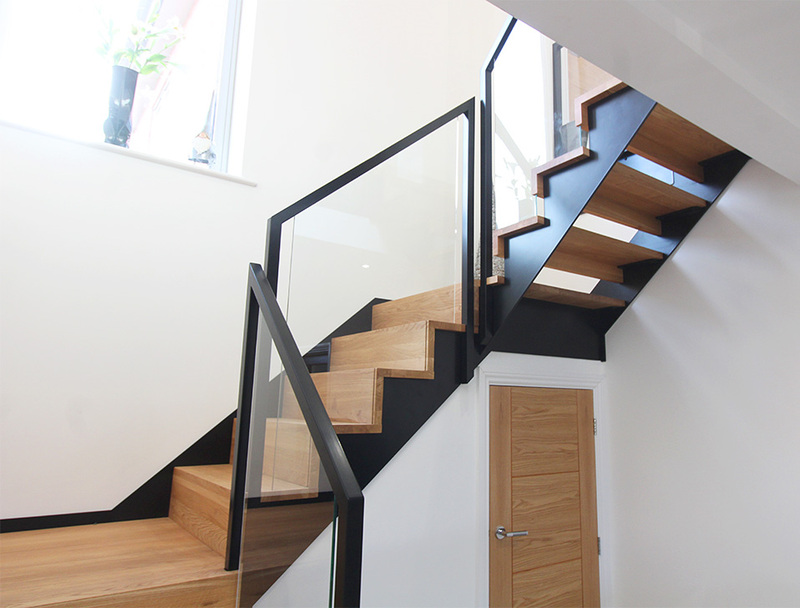 We were excited to create a unique staircase for Mr and Mrs Thornton in Melbourne, Derby after hearing they loved our work but wanted something that was not in our brochure. 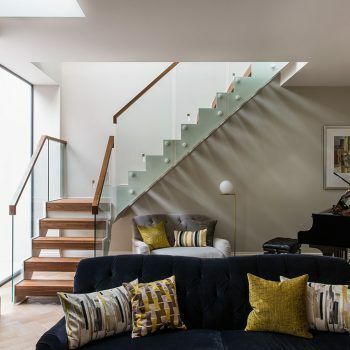 The architect planned a huge feature staircase in the entrance hallway of the Thornton family home, so it was important to create a statement. Mr and Mrs Thornton met with a designer who had an open mind for their brief and spent an entire day brainstorming ideas and drawing CAD visuals over a coffee with the Thorntons, allowing a unique design masterpiece to be created. So many intricate features to appreciate, these details are what makes our work so special. 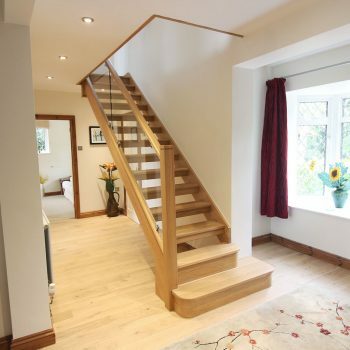 Storage under the staircase was required, meaning that the staircase needed to be a closed plan feature… but not all the way. 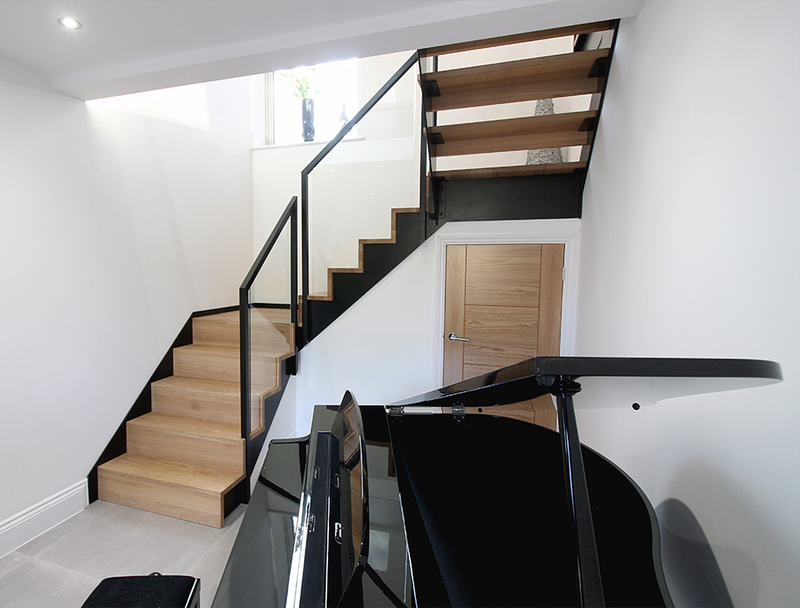 We decided to create an open effect on the upper staircase to allow more light to flood into the hallway to create the illusion of more space. 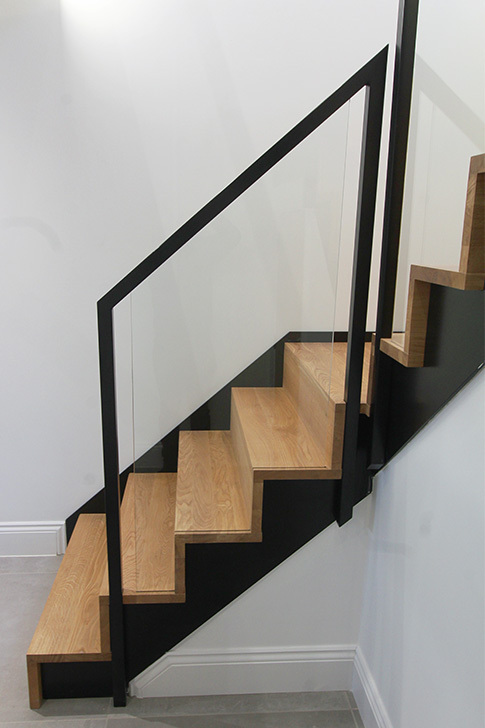 We were able to achieve this by continuing the zigzag finish without making the staircase look like a combination of contrasting styles. 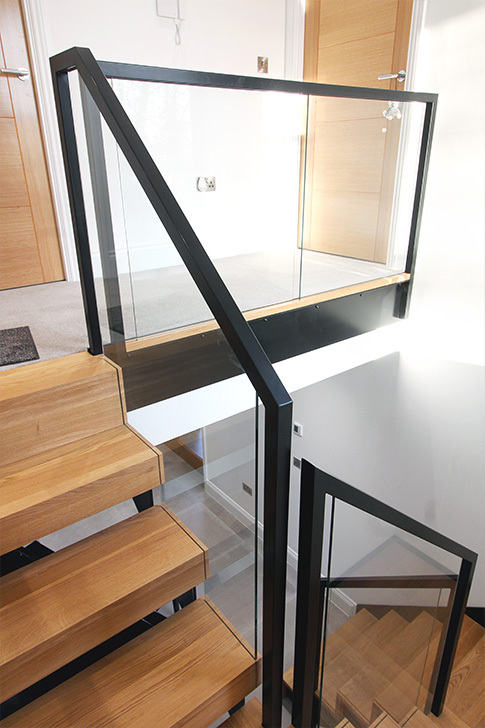 Lots of our clients love glass balustrades, but do not like to see fixings… we created a custom frame from steel box section to house the glass balustrades through an in-line fashion. 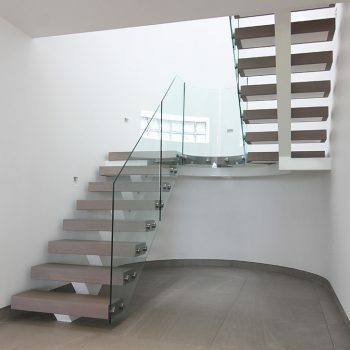 No bolts, fixings or sealants can be seen throughout this design. 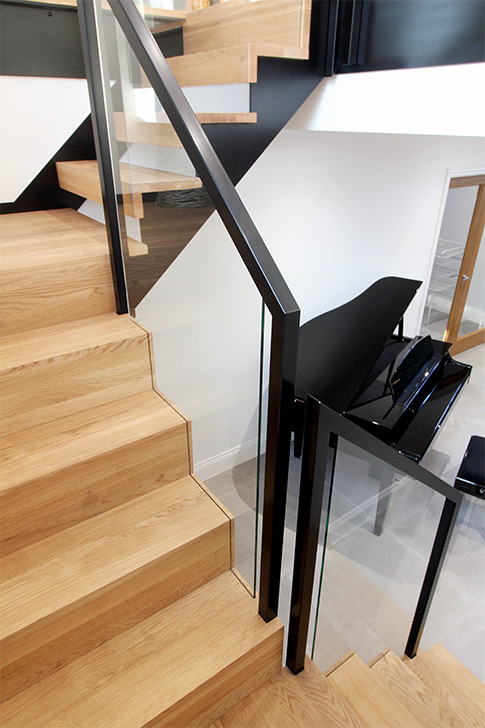 Less is more and this staircase is sleeker than most.